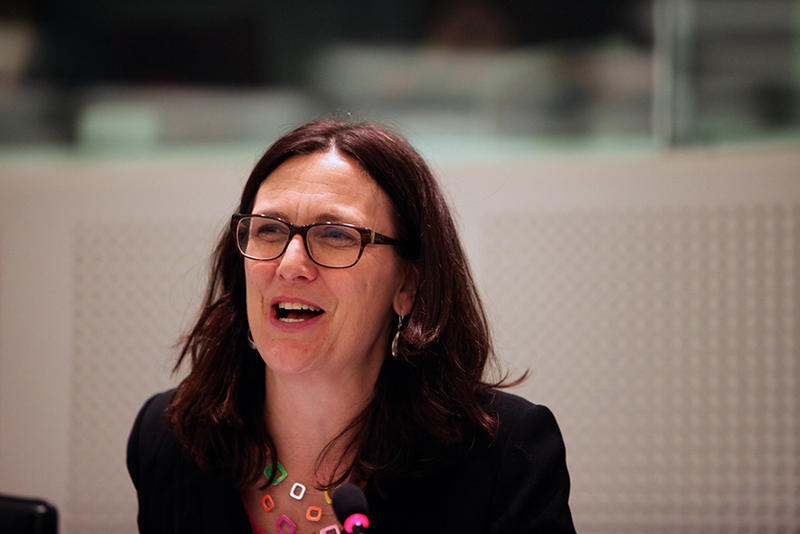 Commissioner Cecilia Malmström tweeted after the meeting: “I had a frank discussion with the US side about the serious pending issue of steel and aluminium tariffs." European Commissioner for Trade Cecilia Malmström met with Japan’s economy and industry minister, Hiroshige Seko, and United States Trade Representative Robert Lighthizer in Brussels on March 10. They discussed the timely issue of trade-distortive practices that lead to global overcapacity in sectors like steel. Their meeting was a continuation of the cooperation between the three countries launched at the sidelines of the World Trade Organisation Ministerial in December 2017. The three sides agreed to boost cooperation by developing stronger rules on industrial subsidies and strengthening notification requirements in the WTO. They also agreed to intensify information-sharing on trade-distortive practices. During the meeting, Malmström and Seko raised the issue of US President Trump’s decision to impose additional duties on imports of certain steel and aluminium products into the US. They noted their strong concern of both the EU and Japan at the announced measures. As long-standing security partners of the US, Malmström and Seko spoke to Lighthizer about their expectation that EU and Japanese exports to the US would be exempted from the application of higher tariffs. As reported by the Reuters news agency, the EU is maintaining a threat of counter-measures that would target US imports ranging from maize to motorcycles, and may publish its list next week to allow industry and other interested parties to give their input. Under World Trade Organization rules, such counter-measures have to be in place within 90 days of the US tariffs entering force.